There are courteous people and there are people that don't think about anyone but themselves (ok, there are those that have very few brain cells, too.) Some walk on the appropriate side of a sidewalk to expedite their journey and others take up the whole walkway. But, I have a pet peeve about elevators. Elevators are simple contraptions. 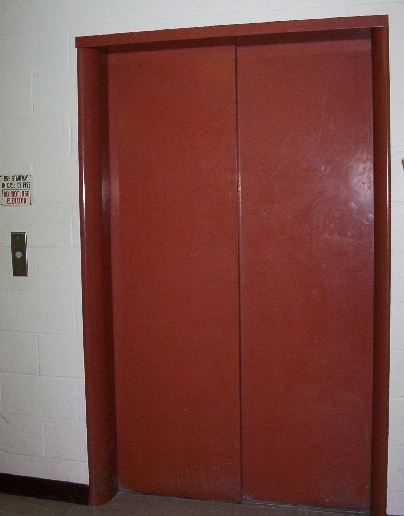 They take cargo from one floor to another by letting cargo into an empty elevator and emptying it on another floor. Some people don't understand spacial displacement. You can't add water to a full cup without emptying the glass first (unless you want to make a mess and Mom taught us better than that.) These people will stand in front of an elevator and push their way in without letting people out. Silly, but it happens and it takes a lot more time for the people to now get out. There are also those that will choose a floor close by but will head to the back of the elevator. Why? Who knows? Of course, there are the people who hit all the buttons but they obviously haven't been in a rush before. But, again... being thoughtful takes work and some people avoid work like they do taxes. Here's my elevator pet peeve -- You ride your bike to work. Please don't try and ram yourself and your vehicle into a crowded elevator. If there isn't room, please wait for the next elevator. I had a guy jam his pedal into my shin yesterday. It still smarts. It irritates me as well. How about when you are in a full elevator and 5 more people try to cram into it because it might take 30 seconds longer to wait for an empty elevator? trying to reach the first floor. Of course, in Europe, only one person can fit on an elevator, so there's no problem. Oh, forgot one other peeve about elevators. Why do people think that pressing the button when it is already lit will make the elevator move faster? Fred - So do you think the thought behind Aerosmith's "Love In An Elevator" is lost on them or do you think it promoted self-love?